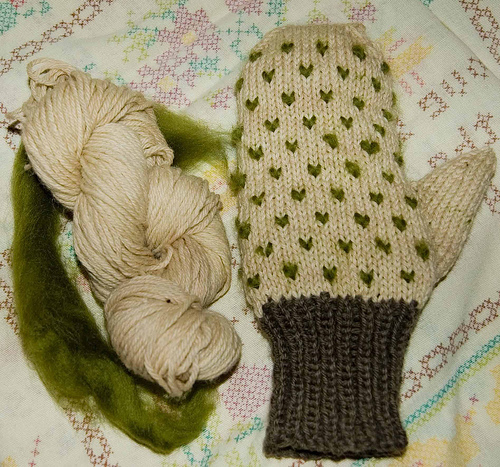 Knit up these cute Lady Moss Mittens by Kristen of Craft Leftovers. I love the stitching detail. Link.